On March 30, 2019, we regrettably lost another good friend. 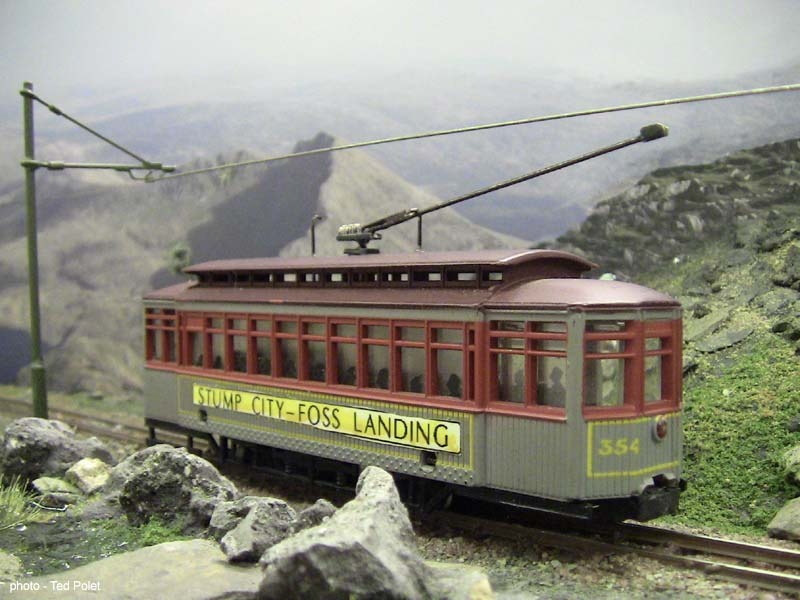 Derk Huisman was a member of Fremo rather than the 009 Society. 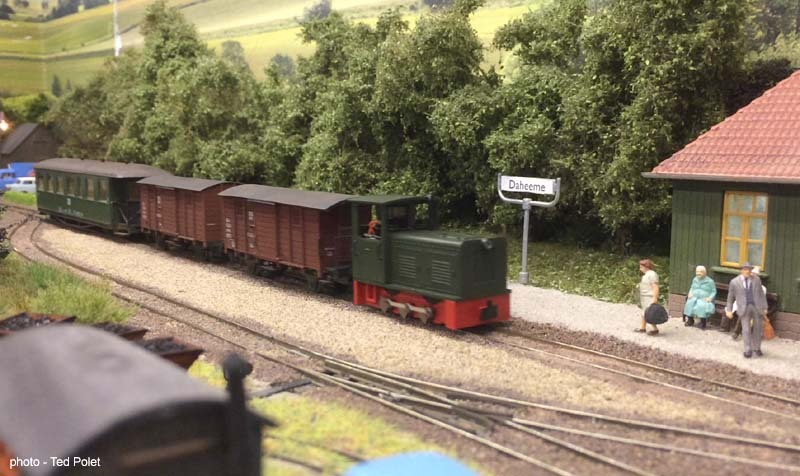 His interest lay in H0m - 12mm gauge Swiss modelling. Derk was an accomplished mechanical and electrical engineer and there was little he couldn’t turn his hand to. 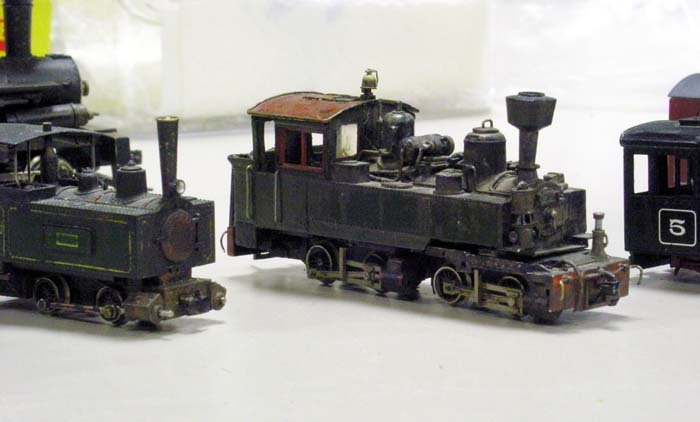 His Swiss model railway Valdispère (H0m) was seen on the exhibition circuit for a number of years and he was closely involved in the work of Henk Wust. 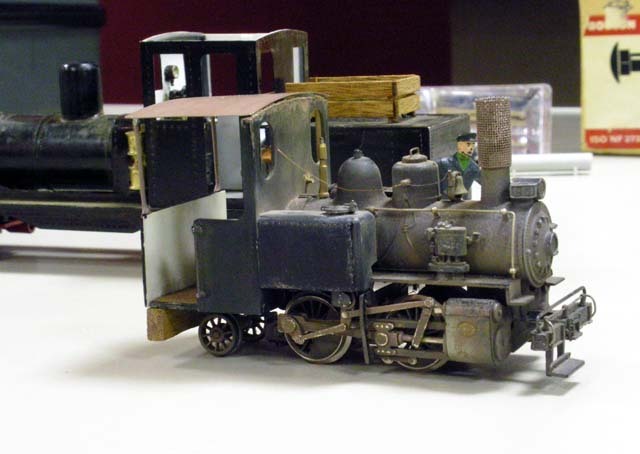 Derk mainly did the technical side of things such as track and electrics, and Henk built the baseboards and scenery. 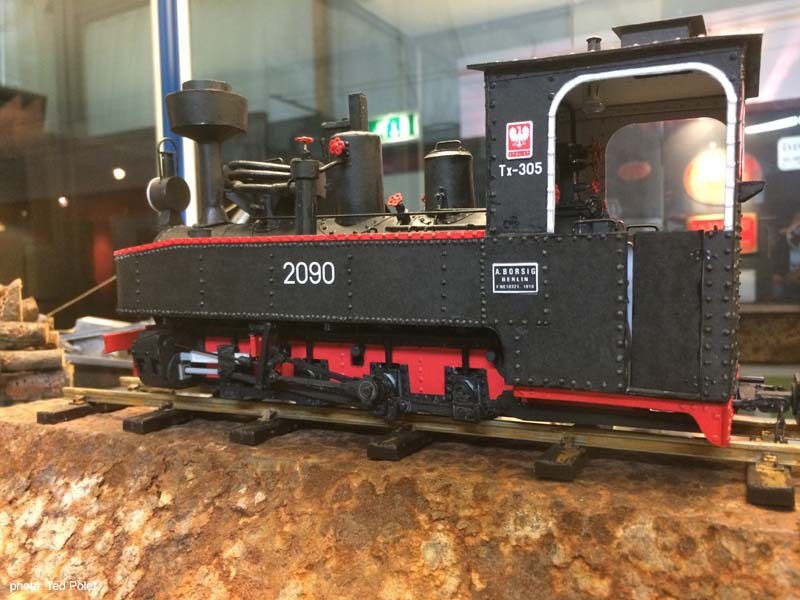 This began long ago with Henk’s forestry railway, and was continued over the years as Henk built Castle Rock, Mariahöhe, Punta Marina, Smeerdijk en de Corn Mill (the latter together with John and Jane Jacobs). Thus, Derk was the quiet but indispensible man in the background. This role fitted the kind, soft-spoken farmer’s son from Groningen very well. Recently he had to devote most of his time to his family’s farm, which took precedence to his modelling. 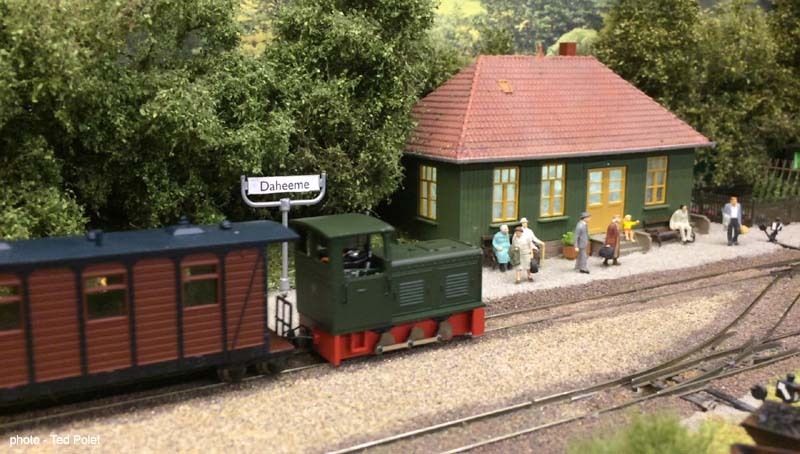 As spoke to Henk Wust on the telephone about him, he mentioned the photo shown below to me, saying there must have been something of a teacher in Derk - he is seen patiently teaching a young visitor how to shunt a train on Mariahöhe. He suddenly passed away during the work on the farm, close to his ‘roots’ again. He was 77 years old. We wish his family and his many friends every strength. In January 2016, the sad news reached us of the sudden passing of our good friend Dave Grassing. 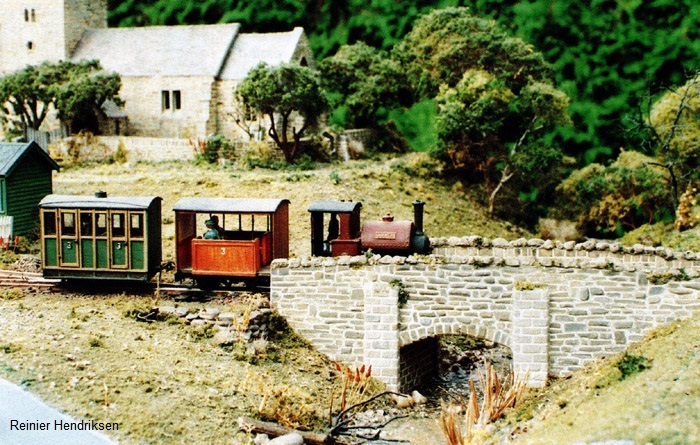 Dave and Midge Grassing were regular exhibitors at the narrow gauge exhibition of Valkenburg. 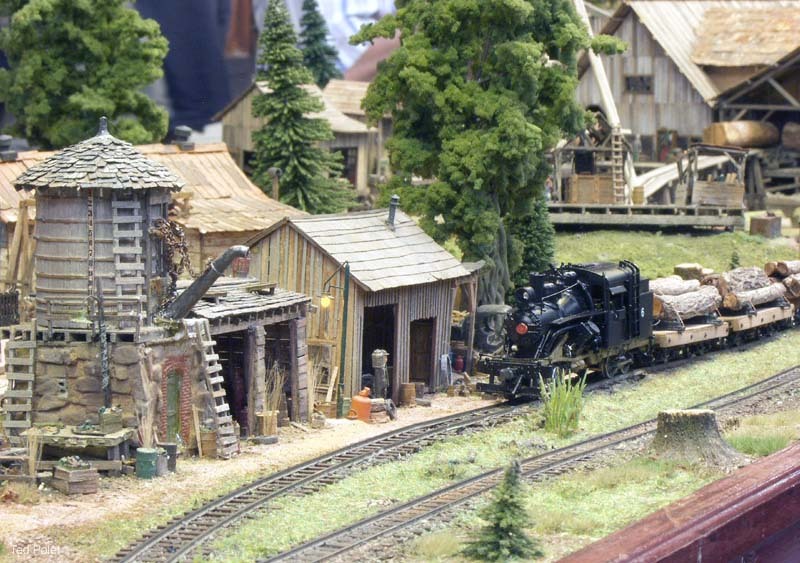 Their finely detailed and entertaining model railways were a joy to us all - typical is Stump City shown below. 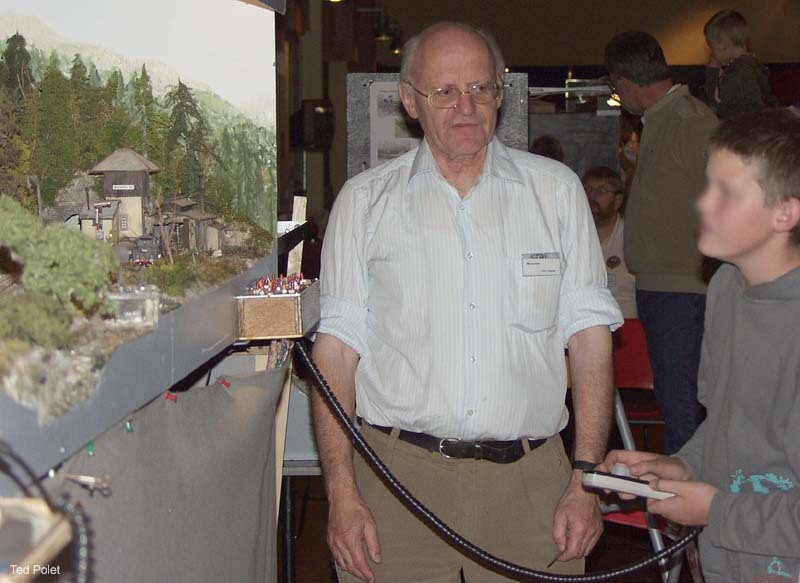 In April 2014 another of our members passed away: R.G.Kittle ('Kit'). The card I received from his family, with a Monty Python text, is typical of Kit – his indestructible sense of humour evidently got the upper hand again. In August 2011 we regrettably lost our good friend Eddy Bolderdijk, who despite living at a considerable distance in the northeastern town of Assen put in a regular appearance at our meetings and shows. I was privileged to have several long talks on the phone with Eddy and I remember his unbeatable optimism, despite his illness. They were good and lively discussions about his modelling ideas and various other topics. 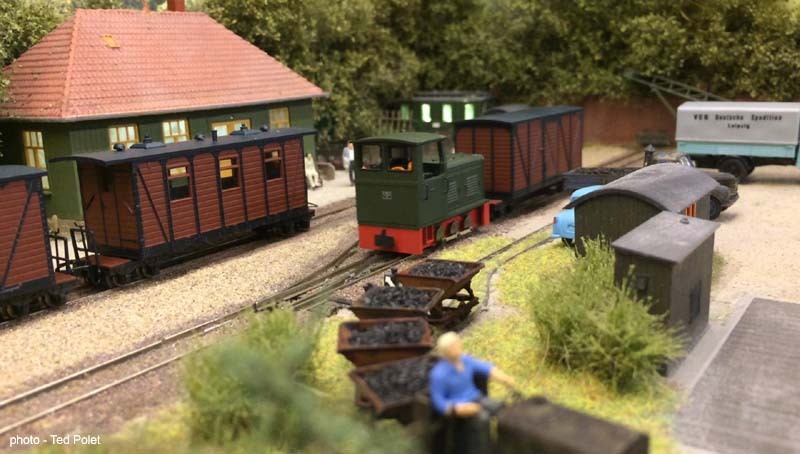 He was planning a narrow gauge layout with a harbour station which he built the baseboards for together with his son Martijn (another of our members). Regrettably it wasn’t to be. His pleasant and cheerful company is missed by us all. 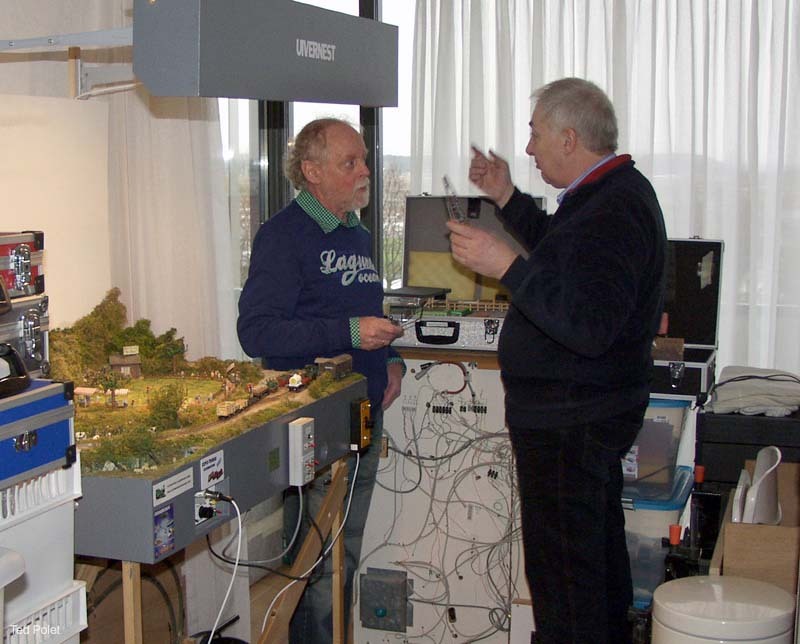 In the photo below, Eddy (at left) is discussing something with Jan van Mourik. In April 2000 we lost Reinier Hendriksen, the driving force behind the Dutch 009 Group. He was the one who introduced me to the 009 Society and took me to Expong back in the 1990s, initially at Greenwich House, later at Swanley. 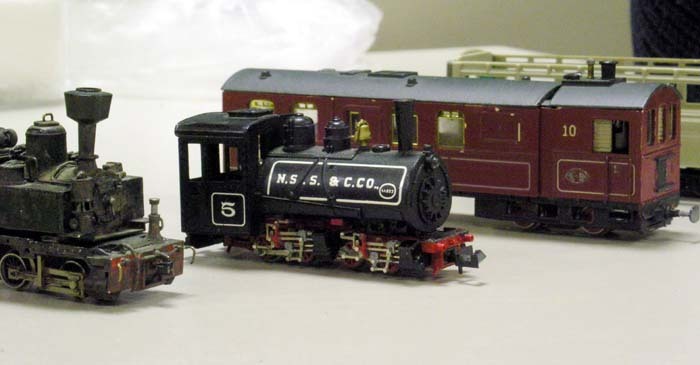 Years later, he is still missed in a wide circle both in the Dutch Group and in England as a good friend and modeller. His memory is kept alive by the Reinier Hendriksen Trophy which is awarded at Expong every year. 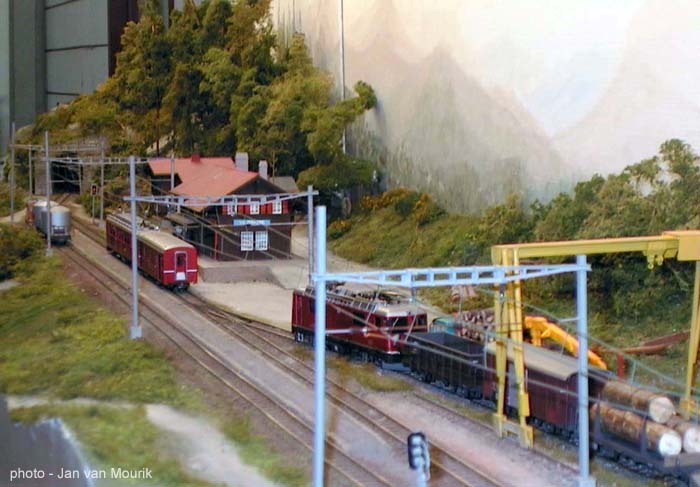 His layout Moors End can still be admired at the Valkenburg museum near Leiden. 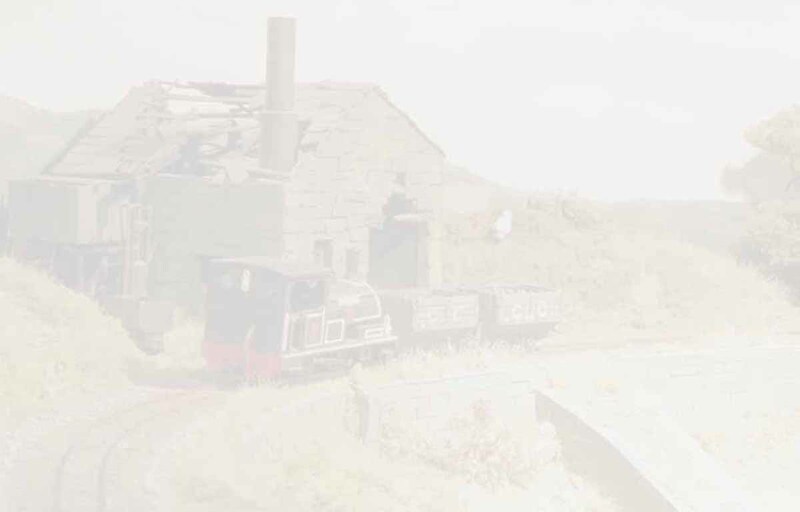 For more information on his work, see his project page in this website.